There are some so impressive thing in China, till now about which we are not aware about it. The country government is using a powerful weapon for cyber-attack which was unknown to everyone. The topic “Internet Censorship” remains incomplete without mentioning the name of China. As we all know China for the “Great Wall of China” and also for “Great Firewall of China”. The Great Firewall of China may seems new to somebody. 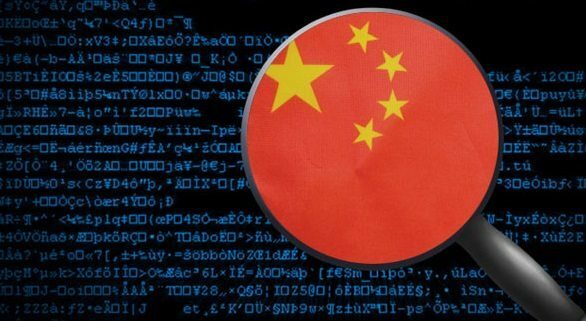 Some tasks like, internet censoring access and also website blockage of any individual are executing by the China government, which is Great Firewall of China. But there may arise question like, what is the cause to do such type of work of the government? The answer is not so critical. The contents, which seems at least a bit sensitive for the democracy of the country, the government of China makes restriction on these contents. The government blocks such type of contents, activities, online speeches, and websites. GitHub is a famous and also popular website to the programmers, which provides the source codes for different programming purpose. The website is not unknown to any programmer. But unfortunately, China did the same thing to GitHub, a few days ago. It has done by a massive attack of DDoS (Distributed Denial of Service). This DDos attack shut downed the GitHub website more than five days. The attack was for two specific projects on GitHub. The project are “CN-NYTimes” and “GreatFire.org”. CN-NYTimes is a GitHub group, which hosts New York Times for allowing the access of Chinese netizens to different news related websites. It is a block portion in China. GreatFire.org a tool of anti-censorship on GitHub. It is helps the Chinese citizens to make fool the Grest Firewall of China. 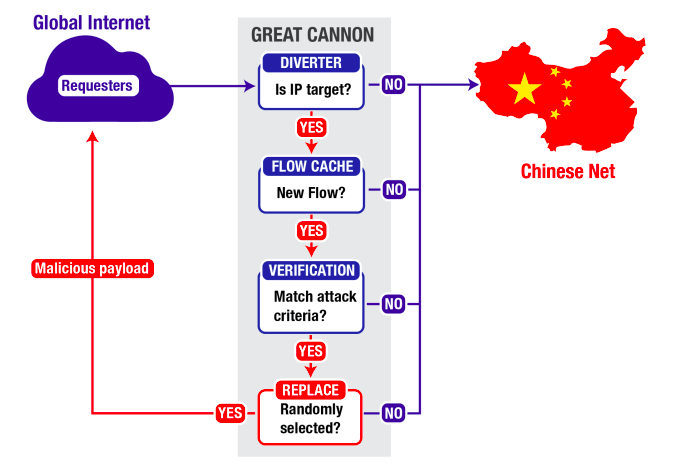 But question is that, how the Chinese maintain the strong attacks of DDos? The simplest answer is “Great Cannon”, in short, the GC. Now the government of China is using the cyber-weapon to make silent the Chinese citizens, along with the world around critics. The GC is a such kind of cyber-attack tool, which is capable to hijack traffic of internet at a level of national and also capable to direct the traffic to the targeted networks, where the hacker want. This is for knocking offline, resending malware, or spyware. It is a thought that, the attackers of GitHub used the GC as a tool of DDoS, for redirecting the traffic of internet to “Baidu”, the giant search engine in China. In simple, the attackers hijack the world wide visitors of Baidu or websites of Baidu-affiliate. Which can be a weapon for flooding the anti-censorship websites (eg. GitHub) with many junk traffic. The GC works with the intercepting data between two nodes. Then it redirect the data to the third part node. It is a powerful cyber-weapon for leveraging any analytic scrip, commonly which is distributed by Baidu. The GC is also capable to produce a MITM (Man in the Middle) attack. The step of the China government can make a trouble in online behavior of Chana from passive to active censorship of China Great Firewall by the attack to foreign websites with GC. “The operational deployment of the Great Cannon represents a significant escalation in state-level information control: the normalization of widespread use of a [cyber] attack tool to enforce censorship by weaponing users“.